Getting up in the morning can take everything you have if the first thing you have to deal with is a breathing problem. Allergies and ENT conditions can quickly put a damper on your day, especially if you’re constantly blowing your nose, struggling to breathe, or wiping your eyes so that you can see clearly. At Houston ENT & Allergy, we understand your issues and can provide the necessary treatment to provide long-term relief and put your allergies into remission. At our clinic in Southwest Houston, we’ve seen hundreds of patients with various ear, nose, and throat issues, and we’ve helped them all overcome their symptoms and live healthier lives. Our certified otolaryngologists will properly diagnose your condition and focus on the source of the issue, giving you the best chance to see, breathe, and sleep better. One area that our Southwest Houston ENT clinic specializes in is the placement of cochlear implants to restore hearing. If you have severe to profound hearing loss, a cochlear implant can help you hear once again, and bypasses the damaged portions of your ear, providing better function than a standard hearing aid. If you need our ENT services in Southwest Houston, please take the time to schedule an appointment today. G. Walter McReynolds, M.D., is a 1965, graduate of Rice University, Houston, Texas. Dr. McReynolds currently holds the position of Clinical Associate Professor in Otolaryngology, at UTMB. He is Board Certified in Otorhinolaryngology, as well as Facial Plastic & Reconstructive Surgery. 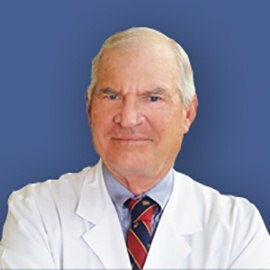 Dr. McGraw-Wall has been named one of America’s Top Physicians by the Consumers’ Research Council of America, and has received the Honor Award from the American Academy of Otolaryngology- Head and Neck Surgery. 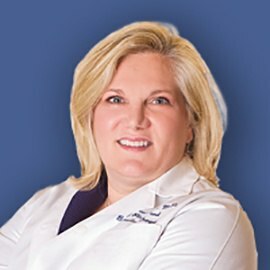 She is the author of dozens of medical articles and book chapters, and serves on the editorial boards of the Archives of Facial Plastic Surgery and the American Journal of Otolaryngology. Monday, Wednesday & Friday mornings, she is working in the Southwest Houston Office. 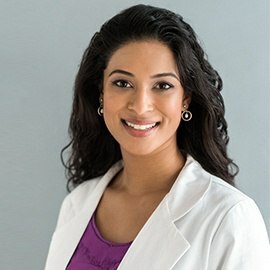 Neelima Tammareddi, M.D. is a board certified otolaryngologist and a native Texan. After growing up in Beaumont, Texas, she attended Rice University where she completed a bachelor’s degree in biochemistry and cell biology in 2005. She then went on to pursue her medical degree from Emory University in Atlanta, GA and completed residency in otolaryngology-head & neck surgery at Louisiana State University in New Orleans, LA.